Editor’s note: Andrew Liepman is a former principal deputy director of the National Counterterrorism Center and a senior policy analyst at the nonprofit, nonpartisan RAND Corporation. Philip Mudd, former Senior Intelligence Advisor at the FBI and Deputy Director of the CIA Counterterrorist Center, is the director of Global Risk at SouthernSun Asset Management. The views expressed are their own. The recent New York Times investigation into the deadly 2012 attack on the U.S. diplomatic mission in Benghazi has reignited the debate over the nature and trajectory of al Qaeda. The conclusion of the report – that there was no evidence of an al Qaeda role in the attack – reinforces our view that the organization that attacked the United States more than 12 years ago is in decline. But it also serves as a reminder that the threat has not disappeared. Rather, it is morphing into a new, more dispersed, less predictable, but still lethal enemy. The 9/11 attacks on the World Trade Center and the Pentagon showed al Qaeda at its deadliest. At the same time, though, 9/11 also represented the beginning of al Qaeda’s decline as an organized terror enterprise that would ultimately lead to its emergence as a decentralized, factious amalgam of freelance groups, each with its own methods and agenda. This new organization may lack the infrastructure to plan and carry out attacks like the one that occurred in Benghazi (and certainly attacks like 9/11), but today’s al Qaeda remains a threat to strike where and when it can and to fan the flames of extremism. The decade that followed the 9/11 attack saw the gradual decline of bin Laden’s core al Qaeda. The architects of 9/11 were largely killed or detained, the remnants were in hiding in Pakistan, and the revolutionary message had lost ground globally in the face of relentless al Qaeda killings of Muslims across the Islamic world. Some of its most promising potential successors experienced similar declines, from Jemaah Islamiyya in Indonesia to al-Shabaab in Somalia, along with al Qaeda cells in Saudi Arabia and Europe. But what of the current generation of Salafist militants – the offspring of bin Laden’s al Qaeda? For them, the signs may not be so bleak. Though they may lack the organizational structure, the focus on attacking the West and the charismatic leadership of yesterday’s al Qaeda killers, today’s militants do not lack its homicidal audacity. Or its wide reach. More from CNN: Would NSA surveillance have stopped 9/11? Affiliated groups have risen across the Middle East and South Asia and into Africa and Europe. Homegrown plots have emerged in the United States in Europe, carried out by individuals zealously donning the al Qaeda mantle, even with little or no contact with terror networks. And the killing hasn’t stopped. Indeed, in many areas of the Middle East, murder in al Qaeda’s name is sharply increasing. In Iraq, Shia are being murdered at a shocking rate. In Pakistan, Shia are frequent targets and across the Middle East groups inspired by bin Laden’s old message continue to sacrifice innocents – from mall shoppers in Kenya and a teacher in Benghazi, to students in Nigeria and oil workers in Algeria. These are the victims of the new breed of al Qaeda terrorists. So we have conflicting trends. In broad strategic terms, al Qaeda is diminished. Numerous acts of terror against the United States have been prevented. It is clear that the American homeland is safer than it was, and it’s hard to conceive of a 9/11-style attack occurring today. At the same time, though, this emerging generation of militants poses its own threat to regional stability. We would be remiss if we assumed this jihadi phoenix could never rise again to threaten American cities. America’s attention span tends to be shorter than that of its adversaries. Americans may evaluate the changing terror landscape as they would the NASDAQ stock exchange, defining success by watching swings over a month or even a year. For al Qaeda, success is something that is defined over decades, or even centuries. Looking at the landscape through this lens might yield a different picture, one that offers hope to the current generation of Salafist extremists. From this perspective, the al Qaeda cause has endured even as the post-9/11 years brought setbacks to its leadership, its globalist message, and many of its affiliates and adherents. But periodic attacks – London, Bali, and even Ft. Hood, Texas – meant the decline was not a linear downward slope. The United States has reason to worry, as Sen. Dianne Feinstein (D-Calif.) Rep. Mike Rogers (R-Mich.), the chairs of the Senate and House Intelligence Committees, pointed out recently. Events in the region – the unremitting violence in Syria, the collapse of any authority in Libya, and the continued instability and infighting in Yemen, Somalia, and elsewhere – appear to be emboldening al Qaeda sympathizers. Instability in Syria has opened the door for al Qaedists to broaden their sway among oppositionists, and instability in Iraq – and potentially Lebanon – offers further opportunities for radical jihadis. There are too many breeding grounds. While much of today’s violence is localized – Yemeni extremists are interested in Yemen, Somalis in Somalia, and Syrians in Syria – any of these hot spots could become the next launching ground for a resurgence of anti-western targeting. Neither the inevitable decline of al Qaedism nor the rise of disparate al Qaedist groups in Africa and the Middle East is a full picture, though, and frequent assessments and reassessments might suggest that the al Qaeda phenomenon is morphing more quickly than it actually is. At the same time, the United States can take some comfort in the progress that has been made at home – in the knowledge that a concerted and consistent counterterrorism campaign has made the country safer and largely eliminated the scourge that hatched the 9/11 plot. Because the al Qaeda revolutionary ideology is so resonant and resilient, the United States should be cautious about translating this comfort into a judgment that it is out of the woods. The picture is neither as positive as it looked even two years ago, nor as bleak as alarmists suggest. Terror leaders with a target horizon that reaches Europe and the United States are uncommon. Carrying out successful plots against the West requires stout leadership, loyal and focused operatives, and a safe haven to plan without diverting attention to more immediate battles against local security services, other competing groups, or U.S. drones. At the moment, the al Qaeda offshoots do not possess these assets, and America is safer because of that. At the same time, though, the United States must not allow this fragile sense of security to become complacency. The terrorist threat is still there, morphing over time from local or regional threats to international conspiracies and back again. Measuring progress threat- by-threat, or month by month, would lead to the mistaken belief that tactical gains or losses represent major shifts in this long, painful counterterror campaign. The campaign is a marathon run against a slowly declining revolutionary idea, al Qaedism, which will take many more years to stamp out fully. The United States should not lose sight of the fact that while 12 years of counterterrorism efforts have helped keep it safe, many more years of vigilance lie ahead. Measuring progress in a counterterrorism war against the al Qaeda group may be straightforward; measuring progress against the morphing idea of al Qaedism isn’t. Al-Qeada made the USA spend $5 trillion. I say al-Qeada won hands down. Timthy McVeigh cost the government millions. Did he win? Your analogy is misguided. Is the USA, along with the rest of the world, ruled by a global Islamic caliphate yet? Last time I checked, no, it isn't – meaning al Qaeda is a long way from winning (at least as they would define winning). Both of your opinions are clueless. I like Americans, they are good people. But unfortunately they are enslaved and are too arrogant and too brainwashed to see that. America will fall and will fall soon, but it will take the rest of the world with it: so everybody will lose! what did you drive this morning, where that gasoline came from, so just shutup, we need cheap gasoline to keep this economy going. America will do what is good for America, it would not see what is good for Iran, Iraq or India. I will only see the American interest, nothing more. Keep Iraq and Iran with decades of war had kept them at bay, and we got cheap gasoline from the Saudis, if you do not know what is a barrel, what is crude, and our addiction to oil, it is time you grab a book and read it. America uses 600 million barrel of gasoline a month, so the largest buyer of crude will dictate its own terms, and you have to live with it, basically saying you do not have the choice. Wow. That was amazing! Sometimes the callousness of some peoples remarks are truly amazing. You must think the world owes us. Do you also believe we are God's chosen people, destined to rule the world? People like you are the reason we are disliked around the world. "Decimated" = now in control of Fallujah and Ramadi after decimating the local military. "On the run" = now threatening to run over the governments of Libya and Syria. Mr. Obama was right! Did you know that Assad has failed to comply with the schedule for destruction of his chemical weapons and that one of his chemical weapons depots was just subjected to an " attack"? Shhhhh, we don't want to talk too loudly about another Obama foreign policy failure. The regime in America simply wants people to BELIEVE Al-Qaeda is down. It is NOT! That is the bottom line..........lies vs. truth. What flavor of Al-Qaeda is this? Don't forget we're dealing with humans. Let us be safe but let us also make it so that when someone in the world says "America" more often than not they smile. Islam won't even exist "centuries" from now. As an African, it is very unsettling to see how the biggest terrorist organization bases is de-localizing (in reality and/or in the media) from the Middle East to Africa (which has no historical ties to this mess)... like if Africans are not associated with enough stigma already. It would be greatly appreciated if whoever are in charge of these wars and conflicts would take their nonsense away from the already chaotic situations in Africa. Africa has enough problems already, African are associated with enough STIGMA already. It is not a trash can, terrorism is the last thing it needs right now. Blame the wealthy conservative contributors from the Sunni Oil producing countries. They have deep pockets, and are using their money to fund these terrorist organizations to try to spread their brand of Islam and create Sunni Islamic States. The West has to wake up and start to go after these individuals. As long as the Saudi Government allows its conservative extremist's to fund the Sunni Terrorist groups, this will continue. The Irony is that the Saudi government is fighting them as well. Sounds like another Pakistan deal, which means as long as they aren't fighting within their borders they support their objectives. Re the statement that there was no evidence of an al Qaeda presence in Benghazi, Ansar al Sharia is a name al Qaeda groups use – they used it in Yemen and in UK – it's very naive to say there is no evidence of it being al Qaeda. The al Nusra group in Syria pledged allegiance to al Qaeda's leader A al Zawahiri in 2012 and re pledged last year. He recently issued a statement telling the al Qaeda groups there, al Nusra and the AQ Iraq named group, to stop killing civilians, only armed fighters. Abu Qatada, who recently left our shores in UK and returned to Jordan, has issued statements since his trial started to Syrian rebels referring to al Qaeda leader. In early 2012, the al Qaeda leader A al Zawahiri issued an 'interntional call to jihad' to go to Syria in support of the Syrian rebels. Some foreign jihadis had already gone in during 2011 but far more followed after that statement and al Nusra established a prominent role, becoming the primary fighting force of the opposition against Assad forces. They have certainly lost many of their leaders from the pre 2001 era, not least Osama bin Laden, but they are still the overall 'umbrella' group for many others and there is a link between groups, I think it's a mistake not to recognize that. The Yemeni 'branch' of al Qaeda has different membership, one is those who are more localized and intent on setting up a caliphate in Yemen. The others definitely do focus on attacking the West – remember it was in Yemen that the Inspire magazine was produced, with such helpful articles as 'How to blow up Americans' and also of course, with some individuals, now gone due to drone strikes, liaising with would-be jihadis in the West to encourage them to attack. 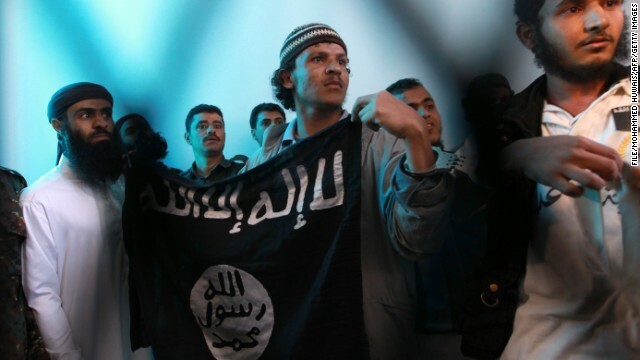 IIt's a mistake to see al Qaeda in Yemen as a whole as solely interested in Yemen. Plus also, it's worth remembering areas of Libya are now under al Qaeda control. The Iraq war caused al Qaeda to go into Iraq, previously never having had a presence there, Hussein had kept them out. They now have a massive stronghold there and also a hand in Syria. In fact they now have more grip in more areas than they did in 2001, but less capability for an international strike of the scale that then took place. Hi, i think that i saw you visited my website so i got here to “return the favor”.I'm attempting to in finding things to improve my site!I suppose its adequate to use some of your ideas! !